Difficult economic times mean tough choices when it comes to vacations or family and friends gathering. . Discretionary spending is crimped in favor of hunkering down and waiting out the bad cycle. But that doesn’t mean you have to shut down the family trip completely. You can buy a tent and rent it out for the outdoor events and parties, it will less costly than rent a hotel or other construction. Catering tent offers you many choices. 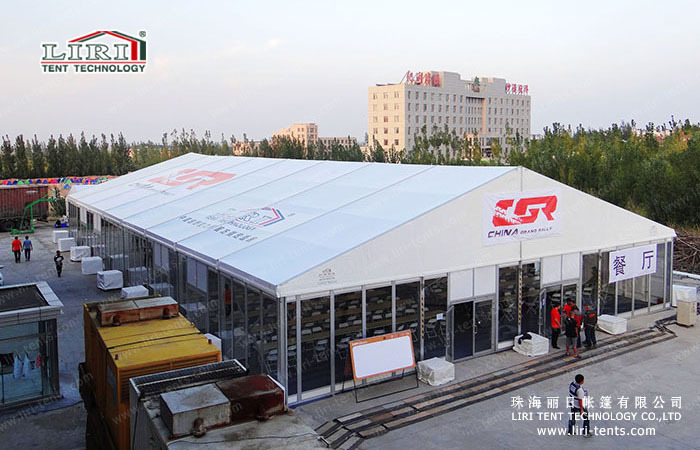 Size of the tents is very flexible, you can increase or decrease in every 3m or 5m. 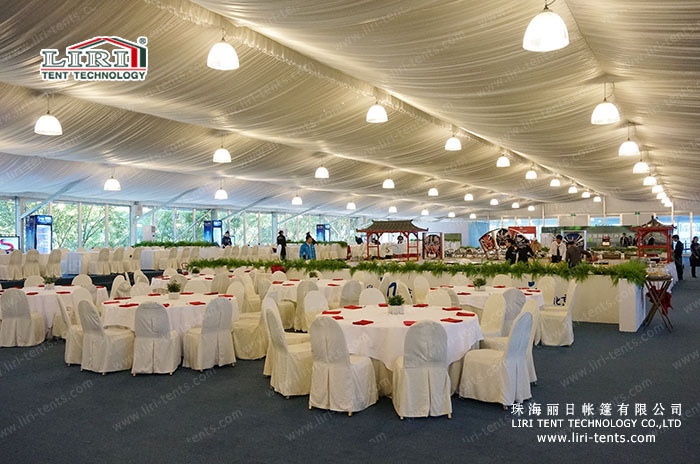 If you have an big event for 1000 people, you can purchase a tent 20x50m, and next time for 500 people, you can decrease the length in 20x30m. It is really a good option for catering and restaurant purpose. 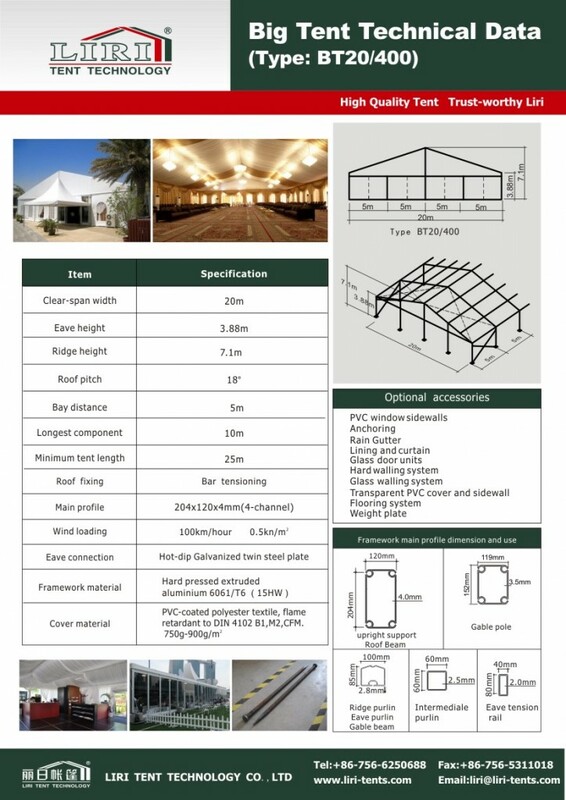 For the tent 20x50m, side height is 4m, ridge height is 7.2m, main profile is 204x120x4mm(4-channel). It can fix with different kinds of accessories, like the clear window sidewalls, glass walls, ABS walls, flooring system and more.